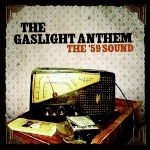 Welcome to the TGAfans.com, discussion for Gaslight Anthem music fans! You are currently viewing our boards as a guest which gives you limited access to join discussions and access our other features. By joining our free community you will have access to post topics, communicate privately with other members (PM), respond to polls, upload content and access many other special features. Registration is fast, simple and absolutely free so please, join our community today! If you have any problems with the registration process or your account login, please contact us and we'll help you get started. We look forward to seeing you on the Forums! I think so. The video was uploaded to Youtube on Sept 1, this year.